This was introduced to the core range in 2015. It is a mix of Bourbon and Sherry casks. Dried fruits and a little alcohol burn to the nose. Sweet raisins and honey. Dates and a little vanilla. Pretty much what you would expect from a mix of Bourbon and Sherry casks. The dried fruits comes first in the taste. Then the sweetness. Sugary vanilla sweetness. Again mainly sweet raisins, but also faint notes of figs and dates. A little coconut as well. The dried fruits and the sweetness mixes great in the finish. 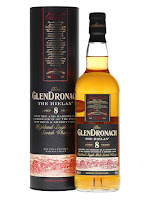 GlenDronach could (should) easily make something like this in cask strength. The finish would have been superb if it had stayed a little longer! 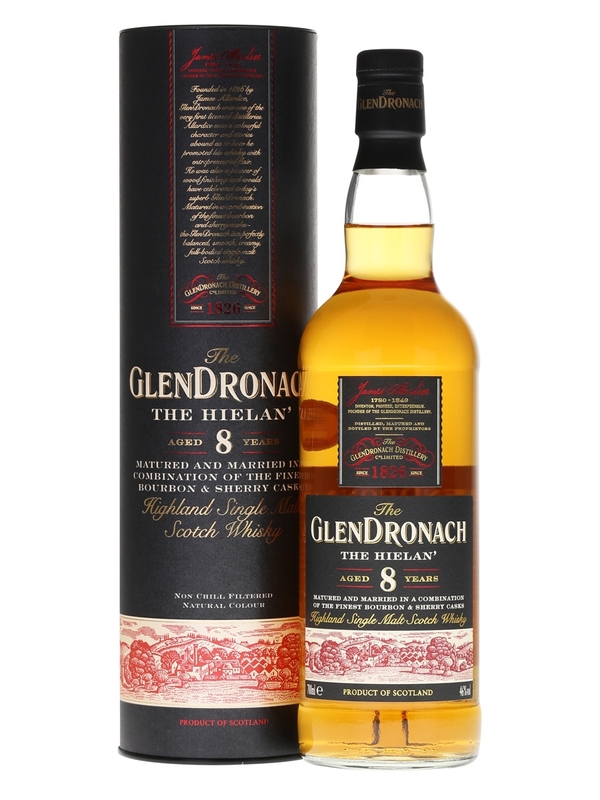 It´s not a heavily sherried dram, but it isn’t supposed to be. Only 8 years old – No problem! Thanks for the age statement! I will give this 84/100 (21/21/21/21).